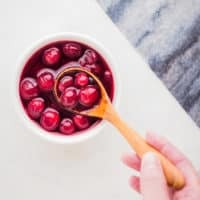 Spiced Cranberries for Bourbon Cocktails | Good. Food. Stories. With two days to go until Christmas, I imagine most of us fall into one of two camps: half have already spent the weekend wrapping, packing, hustling, and traveling and are now comfortably snuggled on the couch, having already polished off half a cookie platter and nodding into the first catnap of the day. 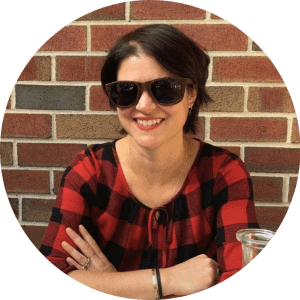 The rest of us are still in a state of muddled frantic anticipation, slogging through that antsy zone where you can almost taste the thrill of doing nothing for a few days… if you could just. cross. off. those last few errands, deadlines, piles of laundry, and nagging details on your list. Regardless of which camp you’re in, my guess is that you wouldn’t refuse a cocktail right now. Yes, even at 10:30 am. I’m looking at you, person who just ate half the cookie platter. Who are you to judge? 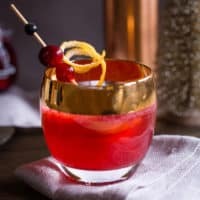 The spiced cranberries that are the star of this drink are festive enough not only to bridge the holiday week between Christmas and New Year’s Eve, but could stretch back to Thanksgiving and be featured in a pre-dinner cocktail before the big meal as well. They’ll certainly keep for a month in the refrigerator, so if you’re a careful planner, you can make a batch in November to last you until the ball drops in Times Square. The cocktail itself is based on a drink called the Manitoba created by Master of Whiskey Gina Unverferth. Muddling the lemon and cranberries together might be more labor-intensive than you’re used to, but the whole lemon rind and flesh brings a sweet hit of citrus that juice alone just can’t compete with, in my opinion. If you’re more in a mojito mood, substitute lime and rum for the lemon and bourbon, and make it a tropical holiday on Christmas Island. Either way, it’s a great excuse to use your bar tools. And now, if you’ll excuse me, I’m off to eat a heaping helping of kielbasa and sauerkraut and dig into my mom-in-law’s cookie platter. Happy holidays from Good. Food. Stories.! 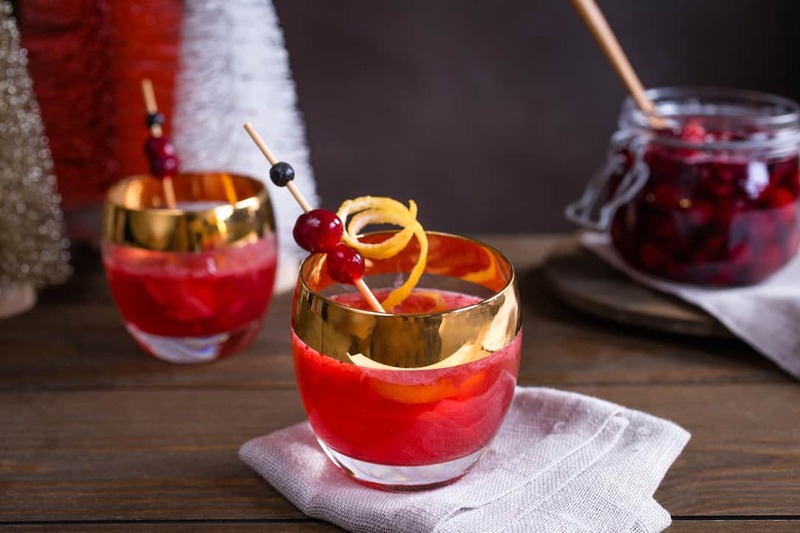 Spiced cranberries make simple cocktails festive for the holidays. Mix them with lemon and bourbon for a new classic drink. Place the sugar, water, cinnamon sticks, allspice berries, and peppercorns in a medium (1 1/2-2 quart) saucepan over medium-low heat. Bring the liquid to a simmer, stirring occasionally to dissolve the sugar. Once bubbles start to form, add the cranberries and adjust the heat as necessary to keep the syrup at a low boil. Cook for 2-3 minutes, until the cranberries begin to pop and split, then remove from the heat. 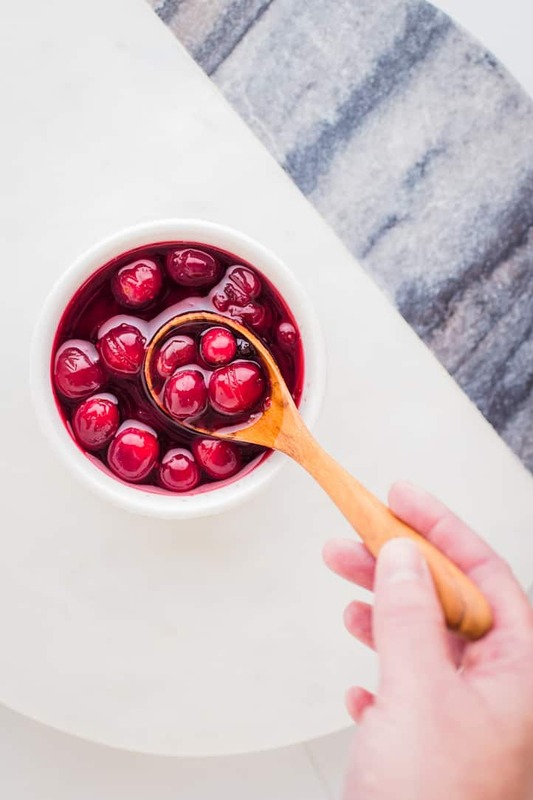 Transfer to a heat-proof jar and cool to room temperature before covering and storing in the refrigerator. Cranberries will keep for about a month when refrigerated in an airtight container. 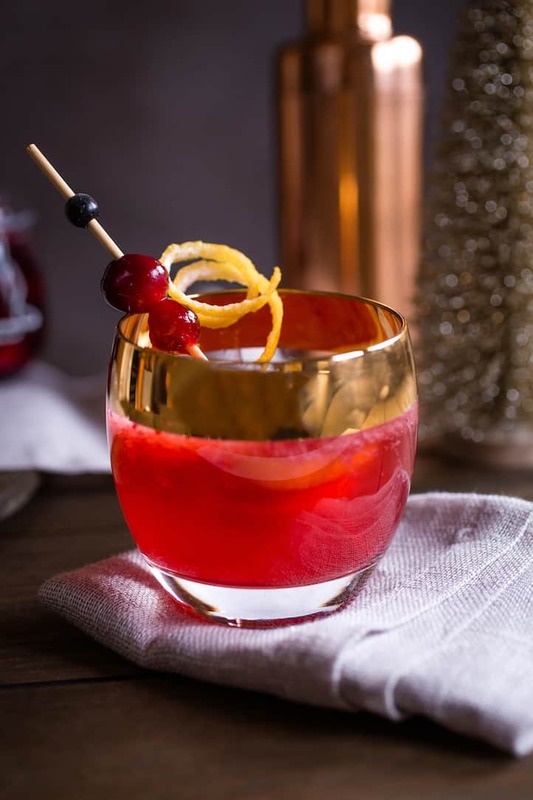 A festive bourbon cocktail, made with homemade spiced cranberries, captures the spirit of the holiday season. Add ice to 4 highball or old fashioned glasses. 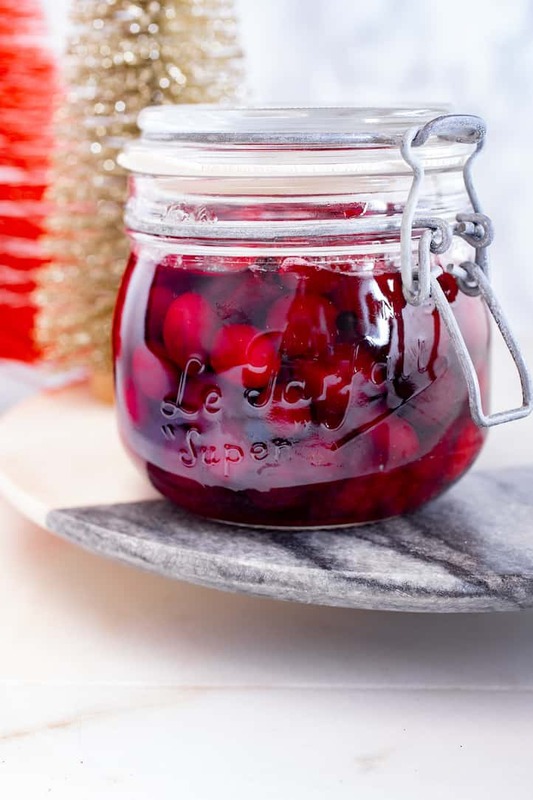 Add the spiced cranberries, syrup, and lemon wedges to the mixing glass of a Boston shaker. 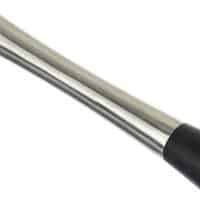 With a cocktail muddler or blunt base of a spatula, gently press on the fruits to release their juices. Add the bourbon and a generous handful of ice cubes to the cocktail shaker. Seal the shaker and shake vigorously for 30 seconds. 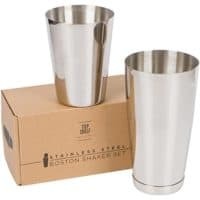 Use the lip of the Boston shaker to strain the cocktail as you divide the cocktail between the glasses. Pour 1/2 cup ginger ale or ginger beer into each glass. Garnish with additional cranberries, lemon twists, and/or lemon slices as desired.